Find the most talented blues bands in PA. Search for blues artists in Pennsylvania who will blow you away! High-Energy, 9-piece Blues/Swing Band Serving Pennsylvania & Beyond! 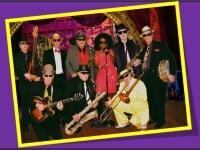 One of the premier bands in Pennsylvania, Jive Jump & Wail brings the best in House Rockin' party music to any event. The band is a 9 piece high energy group featuring the searing vocals of Demetria Joyce Bailey & the smokin' hot Molten Brass horns. If you like swing, retro-swing, jump blues, classic r &b, New Orleans brass band funk, roots r & r, & more, Jive Jump & Wail is sure to please with their fun show. The band consists of musicians who have played with Grover Washington Jr, Cab Calloway, the Temptations, Diane Schuur, Tony Bennett, the 4 Tops, Sister Sledge, George Benson, Bobby Rydell, the Spinners, the Tommy Dorsey Orchestra, the Glenn Miller Orchestra, Mel Torme, Joe Williams, Harry Connick Sr, & Branford Marsalis, among others. This Philadelphia based band is available for any type of event & travels throughout the tri-state area & beyond to perform. For more information check out their website jivejumpwail.com or find them on Facebook for up to date information. Wonderful Jazz and Blues Vocalist! A pianist, composer and producer, Barry Sames is one of Philadelphia's most noted jazz and blues vocalists. 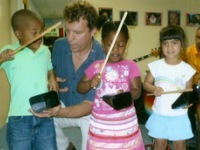 Presenting versatile and unique music, Barry Sames has taken his love of musical and talent around the world, performing in a variety of venues. Not only does he sing and play music, but he teaches as well! You can purchase his three outstanding CD's, "Awaiting the Spirit," "Celebrate" and "Modal Citizens" on from his website. For a calendar of his upcoming performances and events, check out his website and see when the next show near you is! One of the Best Blues Bands in Pennsylvania! The extraordinary blues band in PA is led by James Supra, a legend in the world of blues. For more than 25 years, he's been playing the blues in the U.S. and abroad. He's even played with such greats as BB King, Jason Ricci, Ronnie Baker Brooks, and Catfish Hodge. Supra snagged the Lehigh Valley Music Award for Best Harmonica Player 11 years in a row! A truly dynamic entertainer, he leads a group of multi-talented musicians with eclectic backgrounds. If you're in the Lehigh Valley area, book one of the best blue bands in PA for your next event! One of the Legendary Pennsylvania Blues Artists! Once regarded by George Thorogood as "the most underrated guitar player in North America," Flamin' Harry has taken the PA music scene by storm with his signature sound. Flamin' Harry actually appeared in concert on the same bill as Thorogood, as well as other big-name artists like Johnny Winter, Greg Allman, Stevie Ray Vaughn, and BB King. For a while, Harry even played guitar for Bo Diddley! Flamin' Harry's unique finger-picking style has been copied many a time, but never duplicated, and his shows have become legendary. Book one of the living legends of blues for your next event! One of the Hardest Working Blues Bands in PA! 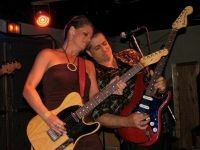 A full-time traveling blues band in Pennsylvania, the Skyla Burrell Band has performed numerous shows all over the country. Between 2006 and 2007 alone, they played a total of 465 shows! It's no wonder that Skyla Burrell has earned the reputation as one of the hardest working women in blues. Skyla has been performing since the age of 13 and recorded her first original demo at the age of 18. In addition to being an accomplished singer; she also writes songs and plays guitar, piano, and bass. One of the Great Pennsylvania Blues Bands! 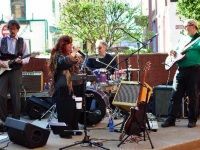 The Octavia Blues Band delivers energetic blues, R&B, and soul tunes at shows, festivals, and venues throughout the Mid-Atlantic region. The band has opened for such greats as BB King, Elvin Bishop, Taj Mahal, and The Muddy Waters Blues Band. Leading the Pennsylvania blues band is Octavia, noted for her outstanding skills on the harmonica and sultry vocals. Born and raised in Philly, Octavia has been performing since the age of 5. She has sung and played her harmonica in a huge variety of bands throughout the U.S. and Europe. An Upbeat Blend of Blues, R&B, Rock, and Motown! The Dave Mell Blues Band will rock the house with its upbeat blend of blues, R&B, rock, and motown. The band specializes in unique arrangements and original renditions of classic blues and R&B standards. Heading the group is Dave Mell, who's been playing the blues since 1972 in many bands throughout the Eastern PA area. He's played at the world-famous BB King's Club in New York City, as well as having toured multiple cities in the Ukraine. Book Pittsburgh's Blue-Eyed Soul Man! 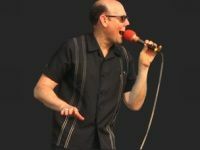 Known as the East Coast's blue-eyed soul man, Billy Price has been entertaining audiences for the last three decades. Regarded as an institution in his hometown of Pittsburgh, Billy first attracted national attention with his three-year association with guitarist Roy Buchanan, touring venues throughout the U.S. and Canada (including Carnegie Hall in New York City). Formed in 1990, The Billy Price Band features new interpretations of famed blues, R&B, and soul classics. Browse the website for CD's, DVD's and MP3 files from one of the great blues artists in PA.
A Loving Tribute to the Blues Brothers! 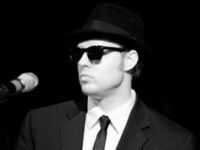 Faithfully paying tribute to Jake and Elwood Blues, The Blues Brotherhood is on a mission... to and keep the spirit of The Blues Brothers alive. Plus, it's the only Blues Brothers tribute band that includes two original members of the BB, Tom "Bones" Malone and Alan "Mr. Fabulous" Rubin. Both Tom and Alan have appeared in the movie The Blues Brothers and its sequel Blues Brothers 2000. The talented PA blues band covers the best material from the Blues Brothers; as well as other classic blues, funk, and soul tunes. The band is available for theaters, casinos, clubs, concerts, and private/corporate functions. One of the Best Blues Rock Bands in PA! The Bottom Shelf Blues Band plays a lively variety of blues and classic rock tunes that are bound to keep audiences moving and grooving. 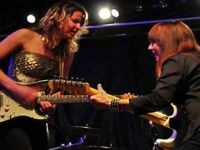 The acclaimed Pennsylvania blues musicians have shared the stage with such national acts as Tommy Castro, Johnny Winter, Girls with Guitars, Tedeschi Trucks Band, Mike Zito, and Janiva Magness. 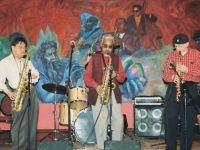 The band has played various gigs throughout the Pittsburgh area, including the Pittsburgh Blues Festival. 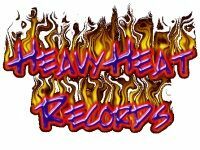 Log onto the band's website and fill in your name and contact info, if you're interested in booking Bottom Shelf for your next event. You can also contact them via Facebook. A Group of Talented Blues Artists in PA! Hailing from Greensburg, PA; The Bad Boys Blues Band brings to you an excellent mixture of old-style and modern blues music, topped off with a touch of classic rock. With its years of talent and dedication, the band is guaranteed to deliver a good time. Along with original blues tunes, The Bad Boys covers songs from such artists as Willie Dixon, T-Bone Walker, Muddy Waters, Stevie Ray Vaughn, Eric Clapton, Rolling Stones, Tommy Castro, and Coco Montoya. The band has been lauded by such periodicals as the Pittsburgh Tribune. Keep in touch with the band via Facebook, Twitter, or Myspace. One of the Most Talented Blues Bands in Western PA! 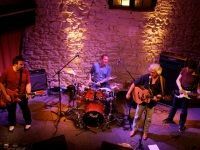 The Jimmy Adler Band has performed at a slew of venues and festivals throughout Western PA, Ohio, and West Virginia. The renowned Pittsburgh blues band has even played at various rallies for the Pittsburgh Penguins and Steelers. 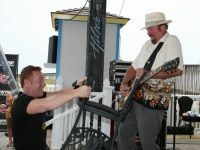 Jimmy Adler is a spirited entertainer, who brings his unbridled passion for the blues to every performance. His prowess on the guitar has afforded him the luxury of performing alongside entertainers like Tommy Castro, Ronnie Baker Brooks, Watermelon Slim, and Willie Big Eyes Smith. By booking these incredible blues musicians in PA, you'll be treated to original blues music steeped in the traditions of Chicago Blues and West-Coast Jazzy Jump. A "No-Nonsense" Pittsburgh Blues Band! This is not your mother's blues band! Mahajibee Blues never fails to make audiences fly out of their seats, with its rough and tough sweaty blues tunes. Even Dan Aykroyd, of The Blues Brothers, praised the band for its "no-nonsense" style. Mahajibee opens for such acts as BB King, Deep Purple, The Pat Travers Band, and Johnny Angel and the Halos. The PA blues musicians have played such celebrated venues as The Altar Bar, The Hard Rock Cafe, and Club Cafe. They've also played in such states as Arkansas, West Virginia, New York, and Ohio. Some of the Best Blues Artists in Pennsylvania! Allentown, PA is home to amazing blues guitarist Mike Dugan, who formed his band in the early '90's. 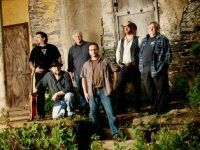 Mike Dugan & The Blues Mission have toured the East Coast, playing a variety of festivals and clubs. Over time, they've built a loyal following and shared the stage with many blues legends. Mike Dugan himself has been performing gigs in the Tri-State area since 1972. In 1985, he was named "Blues Guitarist of the Year" by Show Business News (a prestigious New York publication). The same honor has been shared by such legends as Roy Buchanan, Mike Bloomfield, and Eric Clapton. Book "The Most Entertaining Bar Band" in Pittsburgh! 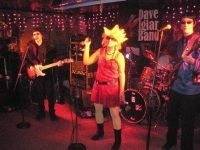 Regarded as "the most entertaining bar band in metropolitan Pittsburgh" by the Pittsburgh Post-Gazette, the Dave Iglar Band is an exceptional blues/rock group with a reputation of bringing thrilling shows to all the venues they play. The band is known for its long, versatile set lists full of original material and creative adaptations of blues and rock classics. A widely acclaimed blues guitarist in PA, Dave Iglar has released many original recordings and performed thousands of shows. He's appeared alongside such celebrated musicians as Roy Buchanan, Susan Tedeschi, Taj Mahal, and Buddy Guy. 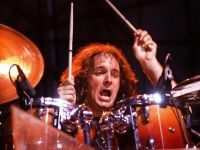 Dave is a hugely animated performer, who's been known to jump into the crowd and party with the fans. A Hard-Rocking 6-Piece Blues Band in Philadelphia! From the greater Philadelphia region, The Porkroll Project is a hard-rocking 6-piece blues band in PA, known for its high-energy blend of fresh covers and originals. With some dangerous lead guitar and harmonica, a powerful organ, and a rippin' piano--the band is guaranteed to rock the house! The band has played together in a variety of projects for over 10 years. The PA blues artists have shared the stage with such notable talents as Bo Diddley, Los Lobos, Mem Shannon, and Bobby Radcliffe. Book One of the Finest Blues Singers in Pennsylvania! 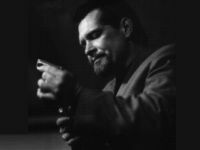 One of the finest harmonica players and blues singers in PA, Steve Guyger performs at clubs and other venues throughout his hometown of Philly. Steve has toured with the late, great Jimmy Rogers and played with many of the great Chicago bluesmen and contemporary players. Steve's impeccable playing, vocals, songwriting and stage presence has made him one of the most celebrated blues artists in PA. 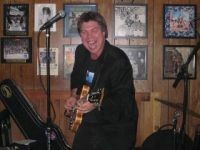 If you're looking for one-of-a-kind blues experience, book Steve Guyger for your next gig today! 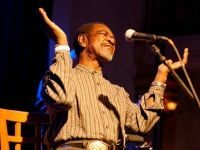 One of the Best Blues Artists in PA! A master of the art of blues, Frank Bey has been singing since the age of 4. He eventually became discouraged by the music industry, but made in a comeback in 1996 after nearly 20 years away from the business. Over time, he formed several bands and secured a permanent entourage, The Swing City Blues Band. Known as the "southern gentleman of blues," Frank possesses a unique sound that's inspired by such artists as Ray Charles, the Bobby "Blue" Band, and BB King. 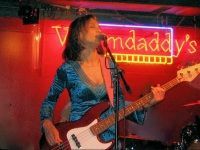 The PA blues singer performs internationally at a variety of venues and continues to actively write music. Jazz, Blues, and Everything in Between! Formed over 5 years ago, the Jazz Me rhythm and blues band in Pennsylvania is renowned for its diverse repertoire. The band performs everything from Frank Sinatra to Carlos Santana, sometimes even throwing in a little Motown or ZZ Top. Because of the band's eclectic musical tastes, Jazz Me appeals to audiences of all age groups. The band was rated as one of the "Best Of" bands by readers of the Sentinel, as well as having been regarded as "Simply the Best" in Harrisburg Magazine's Reader's Choice poll in both 2010 and 2011. The band members never fail to bring a sense of excitement to every gig they play. 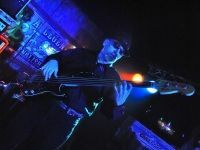 One of the Most Talented Blues Bassists in PA! A well-respected blues musician in PA, Randy Lippincott has played with a diverse range of fellow blues artists over many years. Though best known as a bassist; Randy is a jack of all trades with his abilities as a guitar player, singer, and songwriter. Randy and his band can be seen gracing several fine blues venues throughout his home base of Philly. He's even toured the world, visiting 17 countries on 4 continents. His years of experience are wonderfully displayed in every one of his shows.